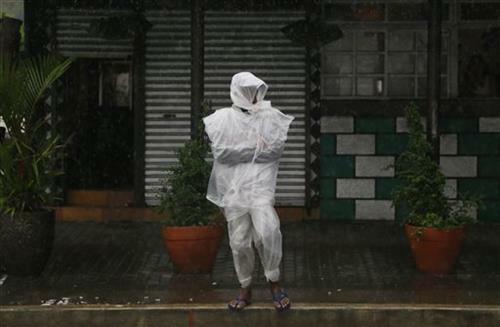 Metro Manila and the western sections of Central and Southern Luzon will have moderate to heavy rains. Tropical Storm “#EgayPH ” continues to move northward slowly. Western section of Luzon will experience rains due to southwest monsoon or habagat. #EgayPH continues to move northward slowly at 7kph. 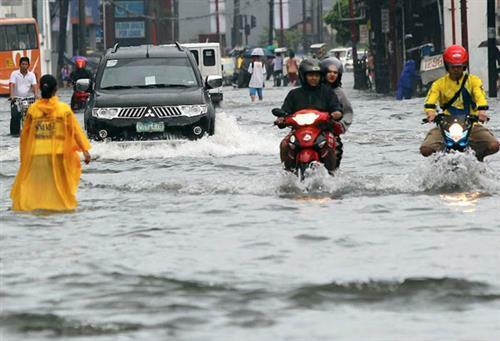 The tropical storm is estimated at 200 km Northwest of Laoag City, Ilocos Norte. Rains with gusty winds with moderate to rough seas will prevail over Ilocos Provinces, Abra, Apayao, Northwestern Cagayan, Batanes and Cagayan including Babuyan and Calayan group of islands. 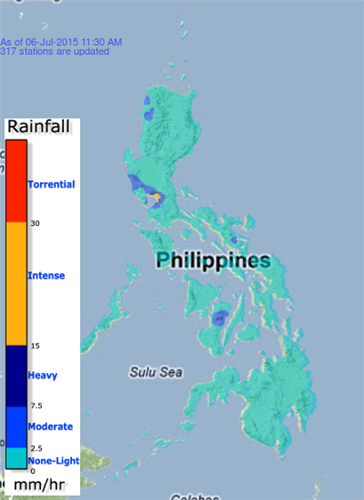 Moderate to heavy monsoon rains which may trigger flashfloods and landslides will be experienced over Metro Manila and the western sections of Central and Southern Luzon. Light to moderate rains and thunderstorms will be experienced over western Visayas. Partly cloudy to cloudy skies with isolated thunderstorms will prevail over Mindanao and the rest of Luzon and of Visayas. At 4:00 pm today, the center of Tropical Storm “EGAY” was estimated based on all available data at 200 km Northwest of Laoag City, Ilocos Norte (19.5˚N, 119.3˚E) with maximum sustained winds of 75 kph near the center and gustiness of up to 90 kph. It is forecast to move North at 7 kph. 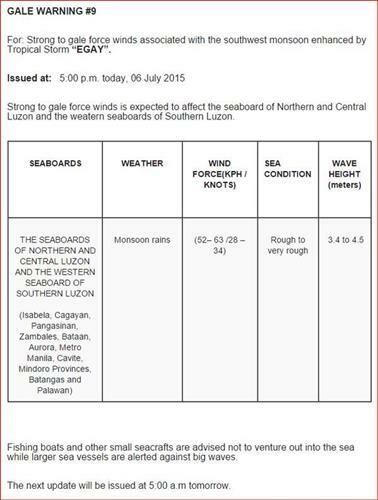 Southwest Monsoon affecting western section of Luzon. 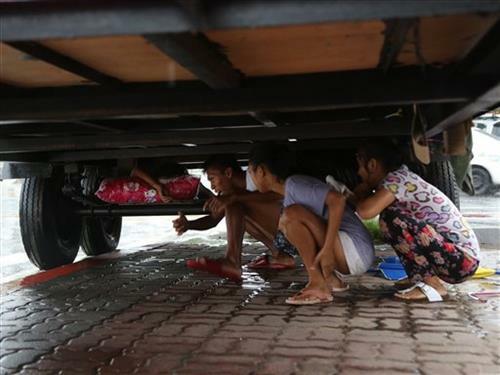 Reports say La Union has declared a state of calamity. The province is among the areas most affected by Egay. 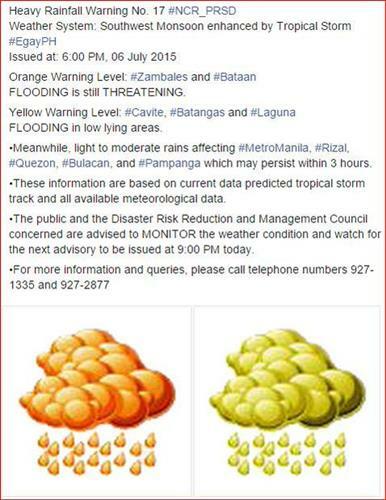 Palace reminds public: Local government units have the authority to declare localized suspensions in areas not under any storm signal. 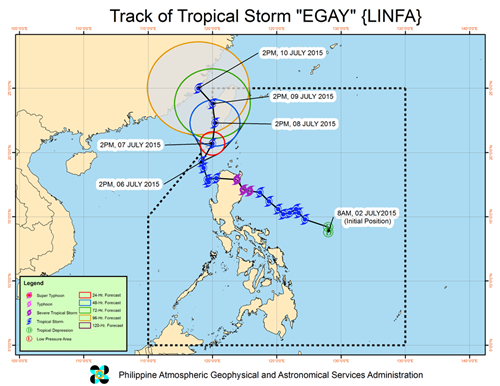 5 pm update: Egay was estimated at 200km northwest of Laoag City, Ilocos Norte; to leave PAR by Thursday. 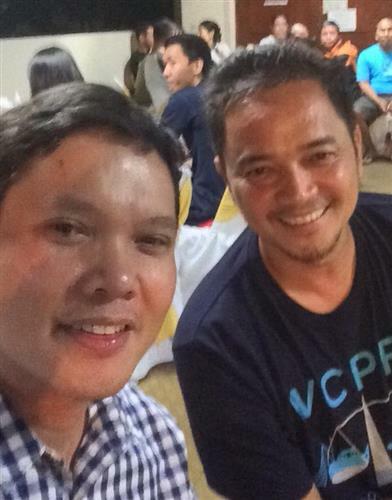 Immortal na naman sa private ???????? 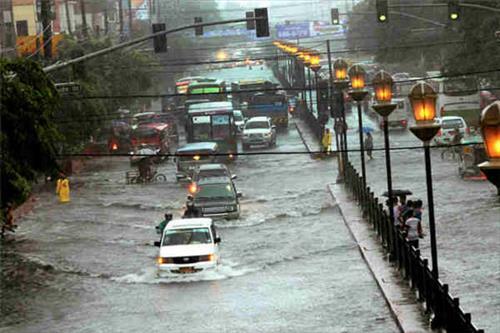 "@PhilstarNews: Palace suspends all classes, gov't office work in NCR #EgayUpdates shar.es/1q8mCE"
philstar.com Several areas in Metro Manila were reported to be flooded on Monday morning due to constant rains brought by Tropical Storm “Egay” since Sunday. 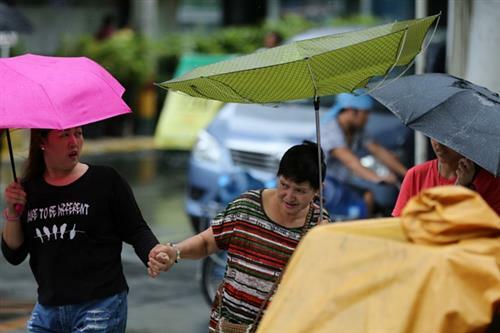 philstar.comThe Philippine Atmospheric, Geophysical and Astronomical Services Administration on Monday announced typhoon "Egay" has slightly weakened and is slowly moving northward.